Quilting and sewing can be a very solitary endeavor sometimes. Although many people do have bees, guilds or groups where they meet with other quilters in person, much of our craft takes place alone in whatever space we’ve managed to carve out for sewing in our home. You’ve put a lot of work into finding, sorting, tracking, organizing and starting work on your UFOs, a process that can be emotionally (and even sometimes physically!) draining. It’s important that you keep up your momentum as you work on your UFOs, making steady, if slow, progress on the projects you’ve decided to keep. Don’t let these UFOs languish in your neat organized stacks. Instead, use your networks and community, whether online or in person, to keep your sewing spirits up and keep knocking out those UFOs! Here are a couple of ideas so you don’t have to UFO alone. Join an in person quilting guild, bee, or sewing group. Guilds and other similar groups can be amazing for a number of reasons. Most guilds will have a “Show and Tell” time during a guild meeting where members can either share things that they’re working on or share a finished project. Set a goal to finish your first UFO by the next guild meeting so you can share your success with the other members. Find an accountability buddy within your quilting friends. Maybe you need a little more individual accountability, or someone that you can share your goals and progress with. Ask one of your quilting or sewing friends (either someone you know in real life or online) if they’d be willing to help you with this. Decide on your goals, and then agree on how frequently you should check in about the progress you’re making. This often works best if both participants have goals that they’re working towards so that this accountability is mutually beneficial. Join online quilting communities, such as Facebook groups, Reddit or My Quilt Place. These groups can be an easy way to share your progress pics or completed projects. It’s easy to take and upload photos from your phone, especially for Facebook groups, and members tend to be very welcoming and supportive. Always remember-there are no quilt police! If you find a group to be negative or dismissive of your work you can always quit that group and find one that’s a better fit for you. Post a progress picture every day on Instagram. Join an online UFO challenge! These tend to pop up every year, usually around New Year when people are thinking about New Year Resolutions. While we certainly don’t think you need to wait until the New Year to work on your UFOs, this can be a great way to find an online community of quilters who are working towards a similar goal of finishing their UFOs and WIPs. Sometimes they’ll run contests or giveaways for challenge participants, too! Think about what might work best for YOU and YOUR life and reach out to your real life and online support networks. You don’t need to do all of these, but try and choose at least one. In addition to keeping you on track with your UFOs, you’ll also grow your quilty community and find inspiration from others. Have you downloaded our UFO Challenge Workbook? If not, sign up below to get instant access to this printable workbook that can help you attack your UFOs! 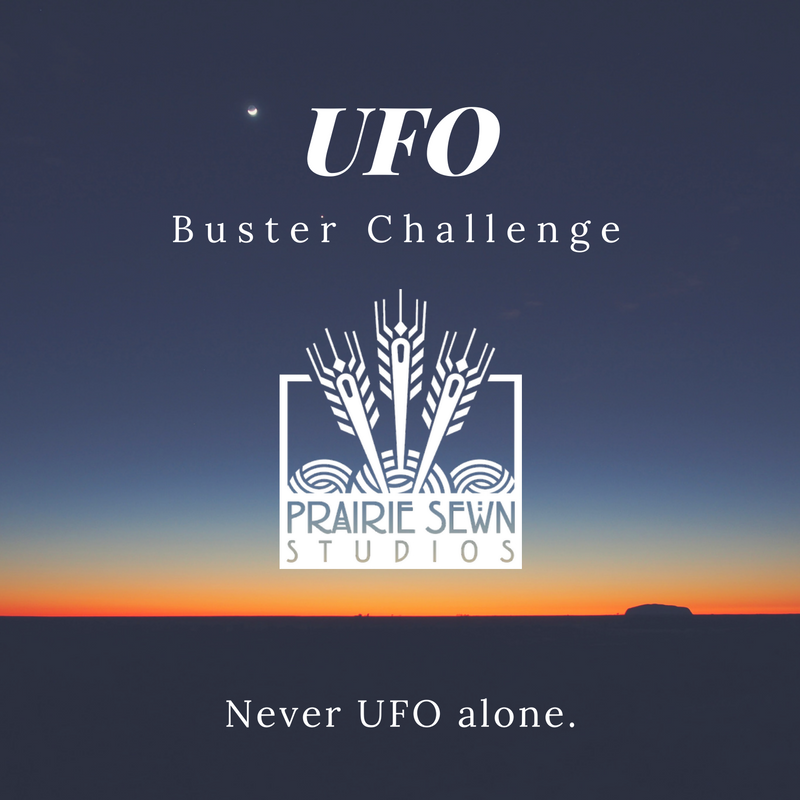 Request your free copy of our UFO Buster Challenge Workbook!